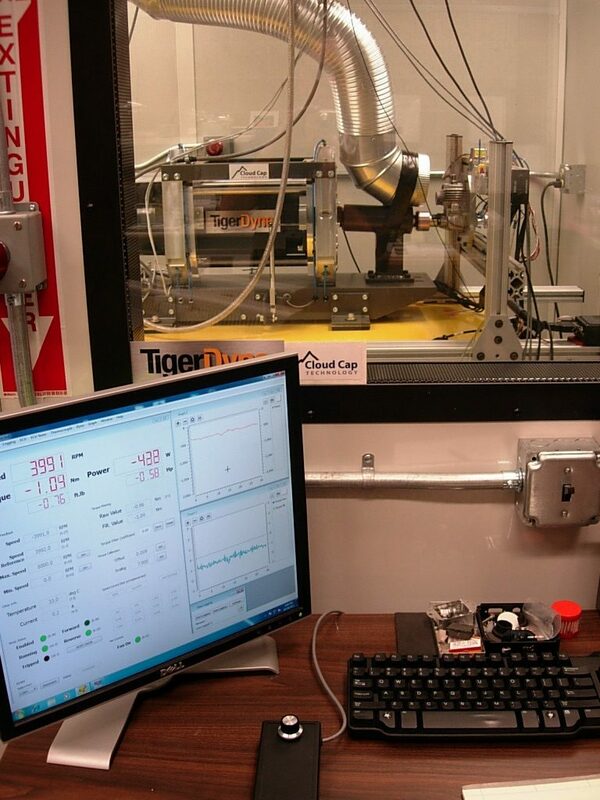 Calibrating combustion engines is tedious and difficult to do well. It is extremely powerful to use a motoring dynomometer when performing EFI calibration as it allows all load and RPM points of the engine to be reached, including over-run (descent) conditions and low speed heavy load (starting). Motoring dynomometers can also be used to measure engine friction and the performance of absorbing devices such as pumps and alternators. 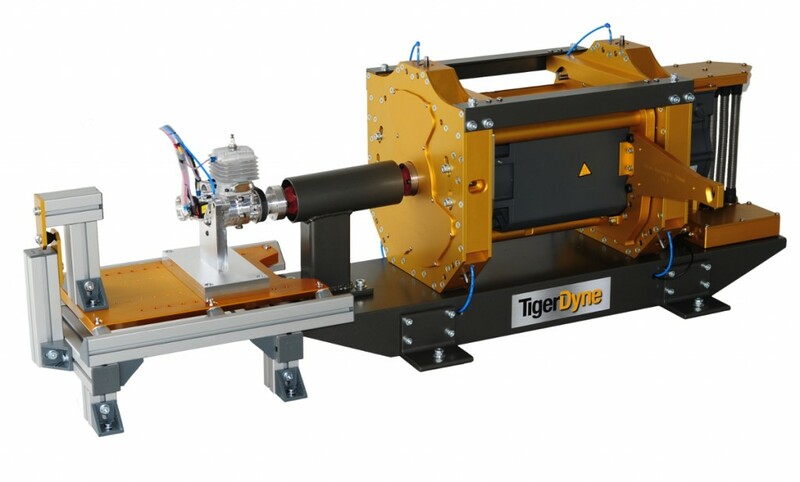 The TigerDyne motoring dynomometer gives Power4Flight an outstanding ability to calibrate, characterize and test small UAV powertrains. Combined with a gas analyzer and temperature chamber, this facility allows for dependable determination of optimum spark advance, fueling and other calibration settings at each mapping point. 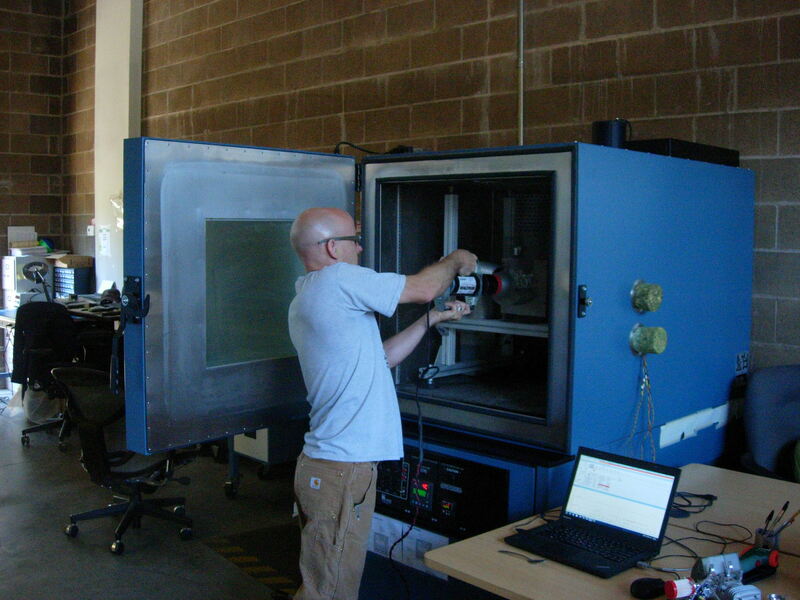 Endurance testing in UAS systems is important for qualifying systems’ ability to provide lasting, reliable performance. 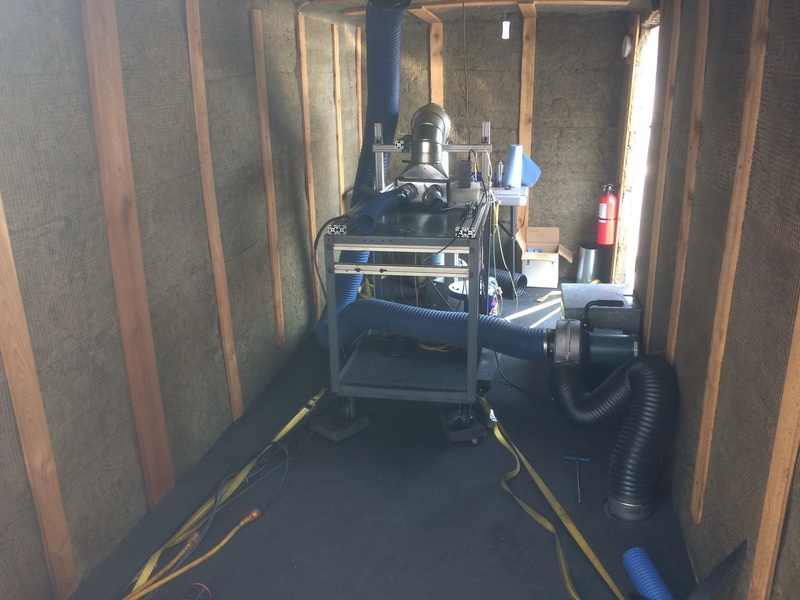 Power4Flight’s engine testing trailer is built specifically to test the life-time of EFI engine systems. Additionally, the endurance trailer is useful for verifying engine performance at different altitudes as the entire test cell can be towed to altitude by a car. The trailer has two centrifugal cooling fans which are capable of cooling test engines continuously at wide open throttle. One exhaust fan is used to replenish oxygen to the interior volume. Engine operation is controlled from a PC outside the chamber through extended communication cables.